What a ripper of a book! 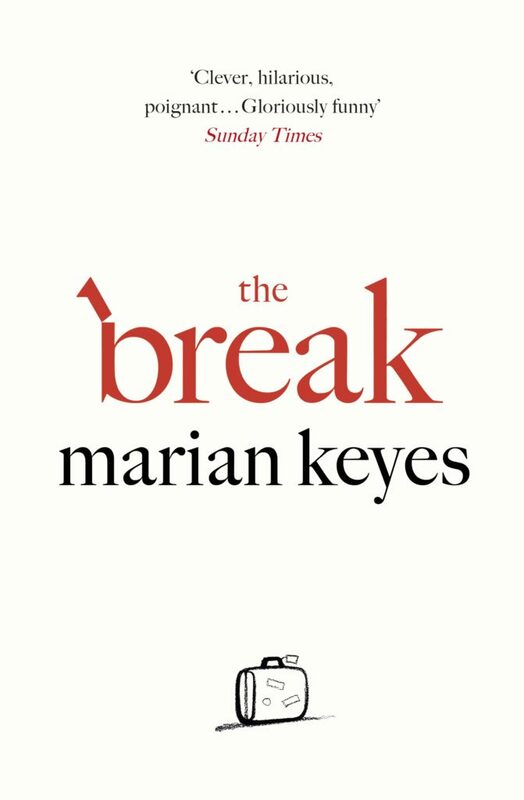 A page turner from the beginning, The Break is a delightful read from start to finish. Keyes has a way of crafting loveable characters that draw you in and make you feel invested in their lives; I laughed out loud, teared up and cheered for Amy (the heroine of the novel) throughout the book. Amy is in her mid-40s and living a happy but slightly mundane family life when her husband, Hugh, says he needs a break from their relationship to travel for six months to find himself… but he promises he loves her and will come back once the six months is up. Understandably, Amy is devastated and wonders how she will cope on her own with three daughters and a business to run, and a gaping empty Hugh-shaped hole in her life. Amy is one of the most relatable characters I’ve read in a long time. The inner thoughts she has made me laugh and think ‘oh, it’s not just me then…!’ in the best ways possible. With her tribe of crazy family members, colleagues and friends (Alistair is a ‘gas’! ), I just adored this new release. It’s not light and frothy, but a heartfelt novel which really captures the highs and lows of family life. I also loved all the Irish-isms; funny little manners of speech and the incredible wit. I’d highly recommend this book to every woman who is looking for something enthralling and fun to read.